Waverley's main school building in 1910. Plans were hatched in 1903 for Waverley College’s first proper classrooms. 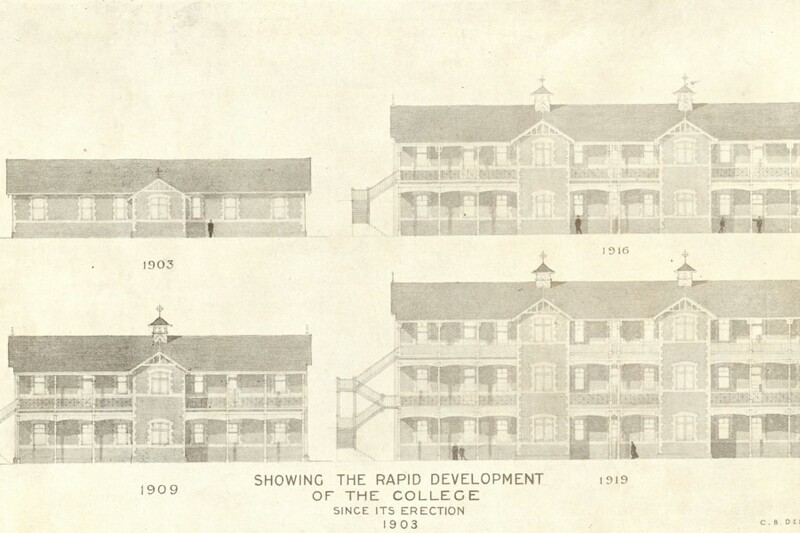 These images show the development and surrounds of the original, purpose-built school building for the College. The completed building in 1920.